Our Care Project Coordinator, Anh Tran, explains how volunteers support local staff at the Care Placements. Australian volunteer Jasmine also talks about her daily tasks at the project and why she chose Vietnam. 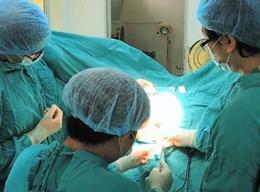 Two volunteers describe their experience at their Physiotherapy placement at The Friendship Village in Hanoi, Vietnam. 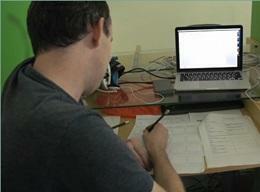 See what it's like to volunteer at one of our Care projects in Vietnam and make a difference in the lives of others. A volunteer, Heidi from Australia, talks her experience volunteering at a Care project in Vietnam and the physiotherapy work she did with the children. A video showing what it's like to volunteer in Vietnam and the type of work you will do at the Care & Community Short-term Special project. A project partner in Vietnam, Do Thi Cuc, speaks about the General Business Project and how the volunteers have greatly supported her social protection centre. Two volunteers speak about their International Development placement and describe what impressed them the most about this project. Sally, the Volunteer Coordinator in Vietnam, and also a volunteer from Denmark speaks about the Care placement in Vietnam. 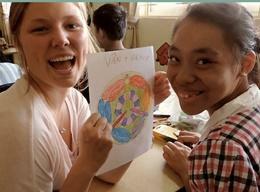 Laura, from Denmark, speaks about her Teaching placement in Vietnam and why she chose to volunteer abroad. 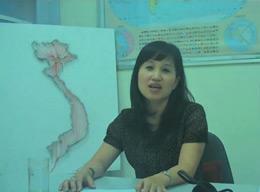 The Country Director of Projects Abroad in Vietnam, Phuong Linh talks about her role and the projects in her country. 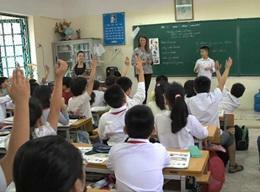 A volunteer from the US talks about her time teaching English in Vietnam. 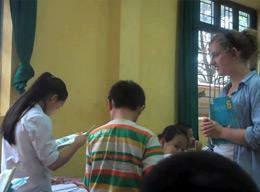 A volunteer from Germany tells us about her time teaching English in Vietnam. A volunteer describes her daily routine at the care centre, her most memorable moment and what she's enjoyed most about working in Vietnam.